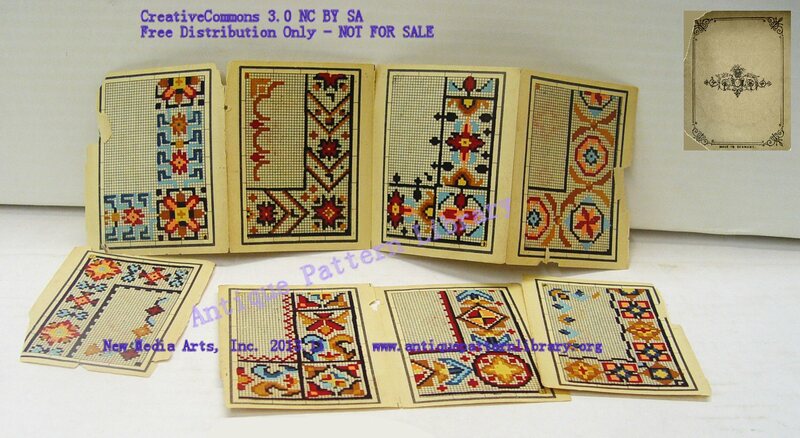 Photos of an eight page booket of hand tinted multicolor charted mostly geometric designs for borders and corners. No suppplemental graphs provided. Ebay seller finnuch gave permission to publish the listing photos and use them for charting. Charted by Sytske Wijnsma.